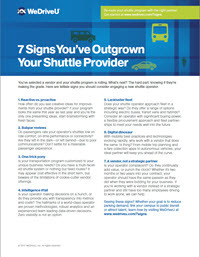 You’ve selected a vendor and your shuttle program is rolling. What’s next? The hard part: knowing if they’re making the grade. Find more signs and ACTION STEPS in this free e-guide.